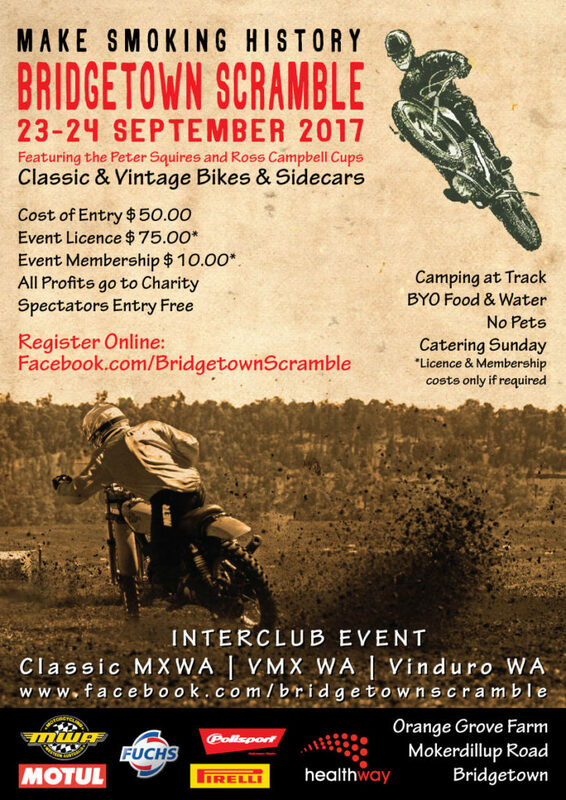 This year’s Bridgetown Scramble is fast approaching, so get your registrations in online at this Interclub Event. All proceeds go to charity. Come along and have some fun with your bikes or just to watch. Error: Error validating access token: Session has expired on Friday, 10-Aug-18 03:56:17 PDT. The current time is Friday, 19-Apr-19 10:14:26 PDT.